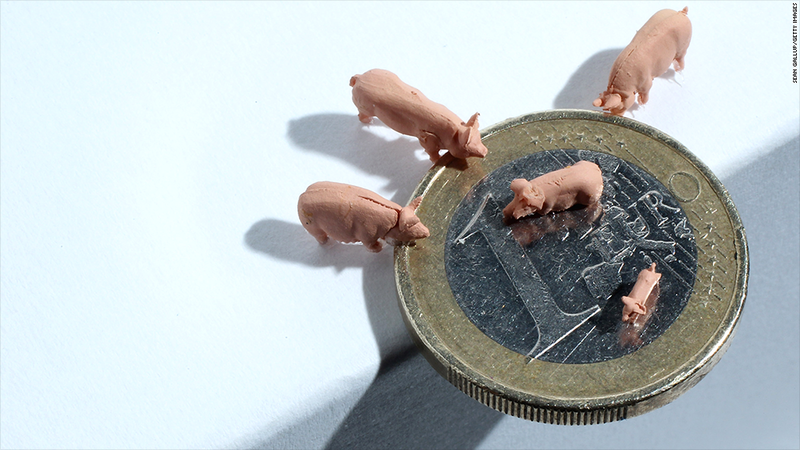 Investors have developed a taste for European PIIGS. It wasn't that long ago that investors were calling Portugal, Ireland, Italy, Greece and Spain the "PIIGS" of the euro zone. Their economies were in shambles, there were riots in the streets and even talk of ejecting some of these nations from the euro. They were great places to visit, but you didn't want anything to do with their finances. Now government bonds issued by Spain, Ireland and Italy are in high demand. Earlier this week, Spain was able to borrow money from investors for 10 years at a lower interest rate than the United States, the world's safest and most stable economy. Ireland and Italy have also seen their borrowing costs fall to levels that aren't that much higher than what the U.S. government pays. Investors first started venturing back into the European bond market in 2012, after European Central Bank president Mario Draghi pledged to do "whatever it takes" to hold the euro monetary union together. Draghi has cut interest rates and unleashed a wave of liquidity on the European banking system. Last week, the ECB announced another round of unconventional policy measures and cut its benchmark interest rate to a record low. ECB officials are concerned that very low inflation could snuff out Europe's weak recovery. Some investors believe the ECB could begin making broad based asset purchases along the lines of the quantitative easing program pursued by the Federal Reserve. 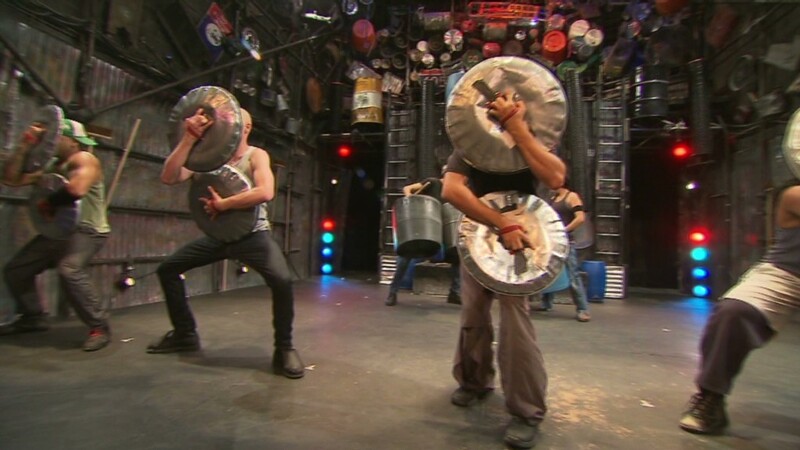 How's the ECB like the musical Stomp? By contrast, the Fed has been winding down its quantitative easing, or QE, program and many investors expect the US central bank to begin hiking interest rates next year. "The ECB probably keeps easing longer than the Fed," said Alan Brown, a senior advisor to U.K. asset manager Schroders. "It's possible the ECB will come in with more programs." But he warned that investors have been "lulled into a false sense of security" by the lack of volatility in the government bond market, which he says "are being influenced by price-insensitive buyers doing their various QE programs." Based on economic fundamentals, Brown said there's no reason Spanish bond yields should be lower than those of the United States. "In terms of intrinsic values, it doesn't make any sense at all," he said. The Spanish economy has been recovering since the middle of 2013. In the first quarter of 2014, Spanish GDP grew at the fastest rate since 2008, according to the International Monetary Fund. The IMF expects Spain's economy to grow 0.9% this year, but unemployment remains painfully high. Meanwhile, the U.S. economy is expected to grow 2.8% this year. At the same time, the U.S. budget deficit has been shrinking. The Congressional Budget Office projects the deficit for 2014 will be $514 billion, or 3% of the size of the U.S. economy. So why are investors so eager to give their money to Spain, Italy and Ireland? "Investors are still clearly looking for yield in a world of low interest rates and that desire for carry and income," said Andrew Milligan, head of global strategy at Standard Life Investments in Edinburgh. With interest rates at such low levels globally, investors have been venturing far and wide in search of assets that provide some sort of yield, or a steady stream of income, above what they have been getting on U.S. Treasury bonds. Spanish, Italian and Irish bonds had fit that bill, up until recently. In addition, the euro has been relatively strong, which offers investors using other currencies an additional incentive. In a strategy known as the "carry trade," investors had been borrowing dollars at lower interest rates and using them to buy higher yielding assets priced in euros. The carry trade, notes BMO Private Bank chief investment officer Jack Ablin, gave investors "the dual benefit of the incremental yield and beneficial euro appreciation." Investors also need to consider how European bonds compare to U.S. bonds after inflation, according to Milligan. The latest reading of the U.S. government's consumer price index showed that inflation increased 2% over the past 12 months. By contrast, inflation in Spain is running at just 0.2%. In Ireland, the rate is 0.4%. Bonds are very sensitive to inflation because rising prices can severely erode the value of fixed-income investments. Milligan said his firm has been overweight European bonds for some time. While they are getting more expensive, Milligan still sees value in owning select euro area government debt, given the outlook for continued easy monetary policy. "Valuations are starting to flash amber, but not red against the backdrop of an ECB which has acted and will need to do more to engineer a sustainable expansion in the European Monetary Union economy," he said.